I bet you’re wrong about writing a book. Anyone who says learning how to write a book is easy has never actually tried. If they did, they’d know writing a book takes a lot more than a helpful piece of grammar software. It takes help from someone who’s done it before – like me. And I’m ready to let you in on all my secrets with this free video training I put together! 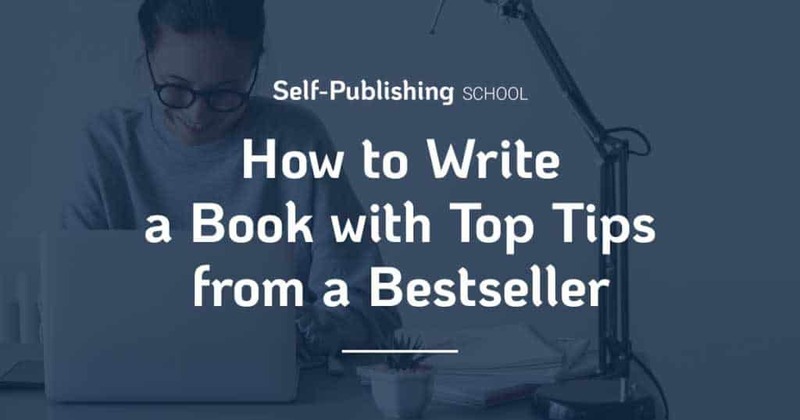 With your FREE training, we can help you understand HOW to write a book that will SELL and self-publish it so the maximum number of people can enjoy it. Just click the button below toTAKE ACTION on your dream – and let’s do this together. Now, I’m not necessarily saying you thought it would be easy, but I think you’ll be surprised about what the process really entails. You stare at a blank page for 5 minutes, but it feels like hours. To combat the boredom, you stand, stretch, and brew yet another pot of coffee. While you wait, you do some more stretches (that you don’t really need to do), look outside, and daydream about mowing the lawn. But then, you stop. You told yourself today is the day you’ll finally start writing your book. You take your cup of coffee back to your desk, feeling refreshed, and you’re certain the words will flow and you’ll write that perfect book your audience will love. There are plenty of reasons why writing a book, whether fiction or nonfiction, puts most writers directly into procrastination mode. Maybe you’re just not sure how to get started. Perhaps spilling your guts onto the page for the world to see makes you want to run far away from the nearest computer (I feel you!). Or maybe you’re insecure about the quality of your writing, and you’re afraid of getting slammed by negative review after negative review. Or even worse: you might be worried that even if you do write your book, nobody will buy it and all your hard work will have been a waste. Take a deep breath (but no more coffee, you’ve had enough). Remember that all authors have been exactly where you are right now. Every successful writer—from William Shakespeare to Walt Whitman to Stephen King—began by staring at a blank page. And I’m here to help. You CAN write a book—you just need to know the steps to do it. And that’s exactly what you’re about to learn. I’m going to share the same system I’ve used to write my bestselling books in 90 days or less. Ready to learn how to write your first book and go from blank page to published author in just 90 days? Then let’s get started! Do you have what it takes to become a published author? Before you sit down and type a single word, it will pay off if you take some time to address a few attitude questions and adopt the right mindset. This is one of the most frequently overlooked steps in becoming a published author, which is a big reason why so many people fail to finish their book. Take it from me—it’s worth your time to complete these steps. They will make the rest of your book-writing experience much, much easier and more satisfying. It’s not enough to have an inspiring book idea. Before you put pen to paper, you need to know your purpose. I won’t lie. Writing a book is rewarding, but it requires hard work. It requires emotional labor, long nights (or early mornings), extended weekends, and facing a constant self-critical process that is unlike anything you’ve experienced before. Solidifying the purpose fueling your book will carry you through this difficult process. Ok, you’re thinking—“Don’t worry, I know why I want to write a book. I want to write to feel important!” That’s an interesting thought, and feeling important may be a byproduct of becoming a self-published author. However, feeling important isn’t the same as your purpose—your WHY. Feelings are fleeting, whereas a purpose is a deeper, intrinsic motivator which will keep you burning the midnight oil to power through Chapter 23 when the rush of feelings have long dissipated. Money: For financial gain or business success. Grow a network: To meet and connect with others in the industry. Passion project: To share an empowering story for the greater good. Authority, money, networking, and passion may resonate with you; one of those might be your purpose. Or, your purpose may be something completely independent from this list. There are no wrong or right purposes for writing a book. Your WHY will be unique to you. Once you’ve honed in on your WHY, let that purpose help focus your writing. By keeping your purpose at the forefront of your creative process, you’ll make the writing process quicker and smoother than you thought possible. You’ve figured out your WHY and articulated your unique purpose for your book. And right on cue, something is going to try to derail your progress already: your excuses. When there’s nothing standing in your way, it’s sadly typical to start letting excuses become the obstacle to your success. It’s perfectly natural, and it’s part of being human. But you can overcome it. It’s worthwhile to spend a little time addressing some common excuses many of us make to prevent us from writing. Once you’ve cleared out the cobwebs and smashed those mental roadblocks, you’ll be better prepared for the writing process ahead. Getting your mind ready is one of the first steps to producing valuable work. Excuse #1 – You don’t know what to write. You may not realize it, but you have a story worth telling. In fact, you may be pleasantly surprised to find as you write that you have more than one story and you’re having a tough time narrowing down the content. The easiest way to start writing your first book is to choose a topic you’re comfortable with. You can literally write a book about anything, so go with what you know. Start by brainstorming and let your thoughts run free. Excuse #2 – You don’t have enough time. Today, we’re all busy. I get it. But I have some good news: Writing a book takes less time than you think. Find an hour a day you devote to something mindless—social media, video games, internet, or TV—and start writing instead. And if you don’t have an hour, try 30 minutes. Even 5 minutes 3 times a day can be a source of massive productivity. Think about it. The average person can type 60 words a minute. 60 words x 5 minutes = 300 words. Do that 3 times a day and you’ll produce close to 1,000 words a day. You’ll amaze yourself at how an hour per day adds up to something productive! Excuse #3 – Good writers spend all their free time reading. Think you need to read all day long to be a writer? Think again. In fact, many prolific writers cut down on their reading—at least temporarily—in order to give themselves enough time to write. Besides, you don’t need to be a literary connoisseur to write a great book. Your writing style and voice is your own. And the best way to discover your own natural voice is by sitting down and writing (not reading what others have written). You don’t need to know everything about your topic. As long as there’s a knowledge gap between you and the reader—and as long as you’re helping to fill that gap by teaching them the things they don’t know—then you’re expert enough to write a book. So stop worrying about “not being an expert!” If you’re passionate and knowledgeable about a topic, then you are 100% qualified to write a book about it. Excuse #5 – Your first draft must be flawless. A draft is a work-in-progress, and the goal is simply to get it on paper. A draft will have mistakes and that’s okay—that’s what the editing process is for. Even experienced professional writers produce first drafts that end up covered in the red pen of an editor or numerous red changes in a document, just like the one pictured below. If it works for a multi-billion-dollar company, it should work for your first self-published book. Don’t get me wrong, as I’ve already said, writing is hard work. But shedding these excuses should help get you into a positive frame of mind for the writing process. You don’t need a creative writing class. You don’t need a writing mentor or coach (though it does help). You don’t need to read thousands of good books. You only need one thing: a system for finishing your book. There’s no such thing as a perfect book or a perfect writer. When you get down to it, the most important distinction is between authors who finish their books and authors who don’t. Don’t worry about being perfect. Just focus on your book, and your writing will get better and better over time. As with anything we learn, writing is a skill. It requires practice to hone over time. So let go of the idea that you’re not good enough. Now it’s time to start your prep work. Before you start putting any words onto the page, you need to focus on a few important preparations. Take the time to complete these steps and you’ll be setting yourself—and your new book—up for success. Here are 3 things you can do to create your own customized book writing plan. Don’t let your book end up in the graveyard of dreams. In order to realize your end goal, you need actionable steps to follow. Assess what’s going on in your life in the next 30 days, then block out when you can write, and when you can’t. It’s common for new writers to set unrealistic time goals, which in turn generates stress when it’s impossible to meet those arbitrary deadlines. Avoid this and stay realistic. Thirty minutes (or even 5 minutes) spent writing is better than nothing, so resolve to make it happen and find the time. Look at Laura Bennett, a Self-Publishing School student. She was working full-time, running a business, and working on her Master’s degree—busier than most people—yet she found the time to write her book Live Your Dream: How to Cut the Crap and Prioritize Your Purpose in 2 months! If Laura could make it happen, then writing your book is certainly an attainable dream. You might decide to get up early and write before the obligations of your day crowd out your writing time. But if you’d win the gold medal in the Olympic sport of snooze-button slapping, then choose a different time or make sure you get to bed earlier so you’re fresh in the morning. If your evenings are free, but your brain is mush and you’re only good for sinking deep into the couch cushions, then choose a different time or rearrange your schedule so you aren’t so burnt out in the evenings. Alternatively, you can grab some time on your lunch break, or sneak small blocks of time into your workday, such as when you’re transitioning between activities, or waiting for a meeting to start. Whatever time of day is convenient for you, stick with it so that it becomes a predictable part of your day. This will establish a writing habit. Setting an end date forces you to stay on schedule and keeps the forward momentum going. So consider giving yourself a deadline for your book. You may be wondering: How do you choose a deadline when you have no idea how long the book-writing process will take? One month is a good benchmark to start with. Self-Publishing School recommends writing until you hit a daily word count of 500-1,000 words. If you can commit to an hour a day, you should be able to reach that goal. After 30 days of daily writing sessions, you will have completed a 30,000-word draft. Consistency is key. Small, consistent actions toward writing your book is how it comes to life. If that schedule doesn’t work, then commit to a time period and a daily word count that does. It’s okay if that’s 15 minutes per day. The ultimate goal is your rear end in the writing seat for that allocated period of time each day. It’s a good idea to choose an editor for your book (before you finish your first draft) and schedule when you’ll have the completed first draft of the manuscript in that person’s hands. That way, if you’re tempted to flake out and put off a writing session, that looming deadline can help keep you going. The physical space where you do your writing is important. If you try to write in an environment that’s too loud, too busy, or too cluttered, and you’ll find yourself getting frequently distracted. …but I suspect that most of these authors would become even more focused and productive if they cleaned up their writing space to make it easier to focus on their writing. You might need to experiment to find the writing environment that allows you to focus and write freely. Bottom line: Find the writing environment that makes you comfortable and go with it. Once you find the best creative process for you, you’ll even look forward to writing! Would you try to construct a piece of furniture without a hammer, nails, or wood? Of course not! You need the right tools for the job. Well, the same principle applies when writing a book. And when it comes to writing, your most important tool is your choice of writing software. Unfortunately, most people don’t really put much thought into which program they use to write their book. They just use whatever word processor they’re most familiar with. But doing this can cause you to really miss out—especially if there’s another program out there that would work much better for you. If you just want a time-tested program that works, Word might be the program for you. It’s the most widely used word processor in the world, which means it’s highly reliable and consistent. It also provides a lot of formatting options and even has a navigation pane you can use to easily find the chapter you’re looking for. One of the biggest downsides to Word is that it’s fairly expensive as far as word processors go. 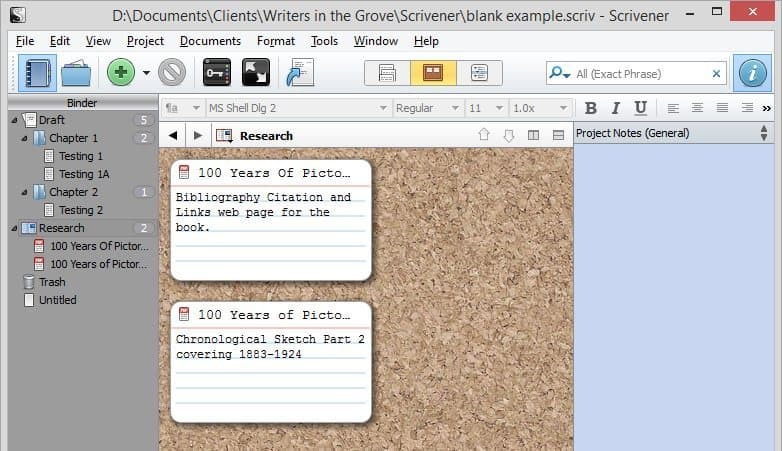 If you like advanced features, definitely check out Scrivener. It was created specifically for authors, and it contains all sorts of tools that are really helpful for both fiction and nonfiction authors. The biggest downside to Scrivener? Because of all the advanced features, it has a steeper learning curve than other word processors. You can think of Google Docs as sort of a “Word Lite” program that you can access online, for free. While it doesn’t boast as many features as Word or Scrivener, it’s the hands-down most convenient program out there for sharing and collaboration. The big downside to Google Docs? It lacks the more sophisticated features of Word and Scrivener. Of course, these are only 3 options—there are many more great writing tools out there. OK, we’ve got the preliminary stuff out of the way—time to sit down and actually write this thing! This is an exciting part of the process…unfortunately, it’s also the part where many people get overwhelmed and give up. But there’s good news: actually writing your book can be a lot easier than you think—if you have the right system. A system that guides you from your idea through your outline and all the way up to your final, polished, publication-ready draft. Here are the most important things you need to do when writing your book. Before you can start typing, you need to have a topic. That might seem obvious, but it can still be a stumbling block if you don’t know what to write about. Fortunately, there are countless book ideas that could turn into bestselling books. I recommend brainstorming a long list of book ideas. This way you’ll have a lot of options—giving you the freedom to choose the best possible book topic. You can even utilize lists of writing prompts to get your mind moving in the right direction. What do you get paid for? What’s your expertise? What are people coming to you for advice on? What’s a topic you know a lot about or can’t stop talking about? These are all great ways to come up with bestselling book ideas. In a nutshell, you’re trying to find topics that you’re knowledgeable or passionate about. Because these are the topics that you’re going to do a great job writing about! That’s because this is a particularly useful question for coming up with book ideas. A lot of people seem to forget that there is usually at least one topic on which they are a bona fide expert—and that’s their job! It might not seem that exciting or special to you, because you’re so used to it, but to someone else who’s trying to learn what you already know…your job-related knowledge can seem very valuable indeed. When you’re brainstorming ideas, don’t censor yourself. Just let the ideas flow. Realize that there is no such thing as a crazy idea. Anything can make a great book topic. So don’t ever let yourself feel silly or start to judge yourself—doing so is a surefire way to stop your creativity in its tracks. On the other hand, don’t feel bad if your topic sounds too commonplace either. Even if you’re writing about an age-old topic—like a weight loss book or a romance novel—that’s OK! The truth is that there are no “new” ideas. Everything has been written about before. But it hasn’t been written from your unique perspective. And that’s what really matters. Realize that a writer’s job isn’t to come up with never-before-seen ideas. Doing that is pretty much impossible in this day and age. Instead, a writer’s job is to explore topics from their own point of view. To lend their unique spin on them. Think from your reader’s perspective (not your own). Many people are too self-centered when they write. When I say “self-centered,” I mean that they’re thinking only of themselves: their interests, their hobbies, their passions. Yes, it’s true that those are great topics to explore when coming up with your book topic. But during this process, you’ll need to switch from a self-centered perspective to a reader-centered perspective. What would my reader be most interested in? What would my reader most like to learn? What are my reader’s biggest problems? When you start to think this way, it becomes much easier to write your book in a way that provides immense value for the people who matter most—your readers. Which one are you most likely to finish? Usually, these are the topics you are more passionate about. For your first book, I highly recommend choosing a topic that you’re really passionate about to help make sure that you’ll remain interested throughout the entire process. Now with these tips in mind, choose the topic for your very first book before proceeding to the next step. You don’t have to decide on your final title at this point, but your title is so important that it’s worth thinking about up-front. I recommend brainstorming ideas and letting them simmer in the back of your mind. Here are a few tips on creating standout, marketable titles. Now pay attention to the titles and look for common themes or trends to use for your own book. Remember that you’re just starting, so you can always change the title later. But for the time being it can help to have a “working title” (a temporary title that you may change before publication). The BookMap is a free downloadable book outlining template you can use to quickly gather all the important information you’ll need for your book — fiction or nonfiction. Essentially, the way it works is you’ll create a mind map—sort of a brain dump with a line connecting related ideas together—on your book’s topic. Start your BookMap by writing your intended topic in the center. From there, answer the questions and add as many related ideas as you can think of. (Again, connect related ideas with a line.) The BookMap gives you the benefits of writing in free-form and creating structure from all the connections you make. Click here to learn more about the BookMap and download a free PDF template. Once you’ve completely filled out your BookMap, the next step is to group all the related ideas into categories. There’s no hard and fast rule for how to do this; just combine your ideas in the way that makes the most sense to you. One way to do this is to rewrite each idea on a fresh piece of paper, this time grouped together in related topics. Or, you could simply use different-colored highlighters to categorize your ideas with different colors. Either way, the result is the same: when you’re done grouping your ideas, those categories will form the outline for your book—each category is a new chapter. So now you know exactly which topics to write about, and you know which points to cover in every chapter of your book. You can use this method instead of the BookMap, or as a supplement to it. For about a week, carry around sticky notes and write down anything and everything that crosses your mind regarding your possible book topics. When the week is up, organize all your sticky notes into sections and themes. Then, organize these themes into the patterns that would make sense in the context of chapters of your book. You can then elaborate in areas where you notice missing pieces to the puzzle, and use all of the material you’ve gathered and organized to create an outline. This method may be helpful if you’re struggling with the notion of committing to writing a whole book since it lets you break down the process into manageable pieces. The ultimate outcome of using this method is deeper thinking, clarity, and concise organization of thoughts and patterns. You now have a chapter-by-chapter outline for your book. The only thing left to do…is to actually sit down and write it! There’s not necessarily a right or wrong way to write your book. But there are some ways that are easier, faster, and more successful than others. Repeat this process, chapter by chapter, until your book is completed. Steps 1 & 2 should be familiar by now—they’re the same steps you followed to create your overall book outline. You just repeat those steps on a smaller scale for each chapter. Then in step 3, you have a choice: you can type out your chapter on a computer, or you can use a recording device & transcription service to dictate your chapter. If you like the idea of dictating your book, rather than typing it out, here’s how to do it. This method works well if you’re a strong speaker and you prefer speaking to writing. The ultimate outcome is that you can create your book draft as quickly as possible, with no actual “writing” on your part. Cool, huh? Speak your first draft aloud into a recording app or device such as Voice Memos or Audacity. Get that audio file transcribed using a transcription service like Rev. Read through the transcription and revise/polish it up. As I mentioned, one of the benefits of this method is its speed. Just how fast can you write a first draft using speech dictation? Well, if the average book is 15,000-25,000 words long, and if the average person speaks at about 150 words/minute, then you can easily speak your entire book in approximately 2-3 hours. Of course, your spoken & transcribed book will need some polishing and revision to get it publication-ready. But it’s still the fastest way of writing a book I’ve ever come across. Writing faster means getting to publication—and to profits—that much sooner. Flex your writing muscles each day. The more you work, the more efficient you’ll get. Create your writing routine and stick to it. If you get stuck on a particular section and stop making progress, find a different part of the book that appeals to you today and write that section instead. Planning and research can be necessary—or a method of procrastination. Limit your prep work to a reasonable timeframe so it won’t stop you from writing. Use a timer if it helps you stay on track. An accountability partner can keep you on track. Set up weekly meetings to review work and cheer each other on. If you’ve been following along with steps 1-3, then you’re in the process of writing your book. You’re working from a solid outline, which means you know exactly what to write in every single chapter. So nothing could possibly go wrong…right? Unfortunately, no. Even when you have a solid plan, a proven system, and a detailed outline, you can still get tripped up by some of these sneaky book writing roadblocks. Luckily, I’ve got some tips to help you overcome the most common book writing problems. Writer’s block can rear its ugly head in many ways. For some, being blocked means no words at all, while for others, it means trying to nail down a functional draft in the midst of a tornado of swirling ideas. Most of the time, writer’s block is a symptom of a paralyzing fear of others’ opinions. The harsh reality is, if you write, at some point you’ll be on a first-name basis with a bout of the block. The only way to deal with it is to beat it. Circle back to your BookMap or outline and see if there’s useful info that sparks fresh inspiration. Sometimes it just takes looking back at the bigger picture to remind you where you’re going with your draft. Change up the physical way you’re writing; sometimes a simple shift can boost creativity. If you use a laptop, put pen to pad. Try some new music, a new location, or new beverage to sip at your desk. If you find you start writing slowly and warm up as time goes on, allow adequate time during your writing sessions to get the creative juices flowing. Review what you wrote yesterday to refresh your memory. Talk it out. Sometimes a quick conversation with yourself is enough to work through writer’s block. Or call a friend and bounce some ideas off them if you’re truly stuck. Remember that what you’re writing doesn’t need to be perfect—you’re writing a first draft. If you have a case of perfectionist syndrome, tell yourself it’s okay to write something you’ll think is terrible. Making something good is what second drafts and the editing process is for. Always remember: Done is better than perfect. Go for a walk. You might be surprised at how a walk outside, or a brief bit of exercise, helps refresh and recharge your creative juices. Read another author who has a style you like. Read their book for 10 minutes and then start typing, holding their voice in your head. You sit down to write and you bang out a page or two. Then you stop and reread what you just wrote. And instead of continuing, you go back and start editing those first few pages of writing. In your mind, you’re just fixing up your work. You want everything to be just right before you continue on ahead. But in reality, you’ve just stopped all your forward progress. You spend the next hour trying to make those pages PERFECT…and when perfect doesn’t happen, you get frustrated and stop writing. Usually, when this sort of thing happens, it becomes very difficult to do any more writing. Why? Because writing and editing use different parts of your brains—and when you allow yourself to slip into a more critical/judgmental frame of mind, it becomes almost impossible to start creating again. That’s why, even though editing is an important skill, you need to resist the urge to edit your work while you’re still writing. Don’t start editing your book until AFTER you’ve already created the entire first draft. Few things are more irritating than having to go back through your entire book to fix the formatting. The take-home lesson? Think about how you want to format your book before you write it, and then be consistent. It’ll save you a lot of time in the long run. And take the time to figure out how to format your book for publication. For example, did you realize that fiction and nonfiction books typically use different indentation styles? If you want to create a page break, do not hit “Enter” repeatedly until you reach the next page. Instead, use the “Page break” function. This is the only way to ensure that your page break will work even after people resize your book on their Kindle. #4 – Keep Going, & Don’t Stop—You’re Almost There! Now you know not only how to get started writing your book, but how to complete your book project in a mere 90 days! Remember to keep your WHY at the forefront of your mind, and you’ll be able to crush any and all obstacles that get in your way. If any of the common challenges or obstacles we’ve mentioned rear their ugly head, you’ll know how to deal with them. With just a little bit of time and a lot of determination, you are on your way to officially calling yourself an author. By this point, your book is completed—congratulations! You’ve done something that most people will never do. But you’re not done yet. Not quite. Because you still need to launch your book in a way that sets it up for success; in a way that maximizes your readers, your income, and your influence. Unfortunately, most people who succeed in writing a book never get this whole “launch” thing figured out. They throw their book up on Amazon without really having a plan, and as a result, they get very few sales, make almost no money, and are frustrated at the lack of response to their work. It’s true that self-publishing your book on Amazon is a great way to go. But you can’t simply publish your book and expect people to find it. Instead, you need to dedicate some time to mastering the publishing and marketing processes on Amazon to sell more books. This is the only way to make sure that your book makes its way into the hands of the people who will benefit from reading your words. If you follow this simple launch plan, you can rest assured that your book will come out with a bang and will generate steady sales right out of the gate and for years to come. We all know you shouldn’t judge a book by its cover. But in reality, people do exactly that—all the time. And that’s why, if you want your book to sell, your book cover is important. It instantly tells people what the book is about. Notice a couple things. First of all, it’s orange—which helps it to stand out and grab attention. Second, it’s super-clear what the book is about. The title is in the upper third of the book in large print, so you can read it even in a thumbnail. Both covers were designed using the same basic principles. They’re simple, bold covers that stand out. They also have subtitles that clarify exactly what the book is about. Now this style of cover works great for my niche, but it won’t necessarily work for every type of book. For example, it would make a terrible cover for a romance novel! Why? Well, in short, it doesn’t look like a romance novel. Remember that part of a cover’s job is to tell people what the book is about. And in many genres of fiction and nonfiction, readers have come to expect a certain type of book cover. In order to clearly communicate what your book is about to your ideal readers, you need it to fit in with their expectations—while also standing out enough to grab their attention. This is another reason why it pays to head over to the Amazon bestselling books list and study some of the most successful books in your genre. What do those covers look like? Do they share a similar layout? Color scheme? Font style? Find out what the most successful books in your genre look like, then imitate that look—but change it up just enough so that it stands out and grabs your readers’ attention. The real key to a successful book launch is building and leveraging a launch team. In a nutshell, your launch team is a small team of people who are supporting your book. They could be friends, family, associates, online affiliates—anyone. At first, your launch team might be limited to your immediate friends & family. That’s OK! Launch your book with their help, and work on continually building your launch team every chance you get. What are they agreeing to do for you? What are they getting in return? Step 1 is pretty simple: you want them to read your book, leave a review, and share it with their own friends and family. This is how you spread the word about a brand-new book when you don’t have an email list or a social media following. As your launch team grows bigger, you might need to offer more than that. For example, maybe another person in your niche agrees to promote your new book to their email list—but in exchange, they want a percentage of your profit. But don’t worry about that for now. Just reach out to anyone you know who would be willing to support your first book launch and ask for their help. If you want your book to show up in search results and as a “Recommended” book when people are looking at similar products, you need to continue generating ongoing reviews to keep the algorithm happy. Reviews are a fantastic form of social proof. They’re a credibility sign that lots of people have read your book and loved it—and that makes other people more likely to want to read it, too. But you have to be careful about how you go about trying to get Amazon reviews. For example, you can get in big trouble if you try to pay for reviews, swap reviews with other authors, or offer free gifts in exchange for reviews. You can solicit reviews, but they cannot be “incentivized” reviews. So how can you generate more reviews without offering people something in return? Well, I’ve discovered a few tips that work incredibly well. Click here to learn my 8-step process for generating more Amazon reviews. The best way to learn how to write a bestselling book is to get help from somebody who’s been there before. Because I sought out a mentor. Someone to teach me a proven book-writing process that had been tried and tested. A book-writing system that was almost guaranteed to work, as long as I followed it properly. Well, that’s the real secret to my success as an author. I sought out the help I needed to give my very first book a major head-start. And now I’m sharing the opportunity to learn from someone who’s mastered writing and self-publishing books with you. To learn from a mentor who can help you achieve your dream of writing and publishing your very first book. Are you ready to write your book? What are some things that you’re still struggling with?